"I know it is wet and the sun is not sunny, but we can have lots of good fun that is funny." 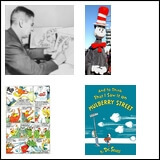 Who doesn't want to know more about "Whoville," "Green Eggs and Ham," and "The Cat in the Hat"? 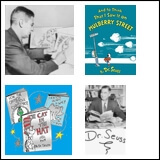 Theodor Seuss Geisel authored more than 60 children's books under his pen name, Dr. Seuss. 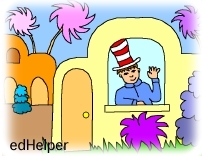 EdHelper has everything from a "Daily Dr. Seuss Activity Lesson Plans" book to bulletin board ideas to reading activities in English and Spanish for grades one through eight. 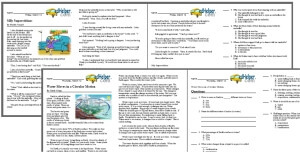 Expand your students' imagination and comprehension with "finish the story" exercises. 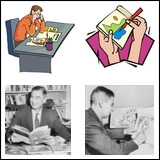 There are art projects, word builder puzzles, glyphs, books, and Dr. Seuss literature units. 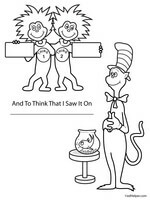 You can make learning fun with Dr. Seuss. Create a different group of rhyming words for each student in your class! New word lists are created each time you create new story starters.